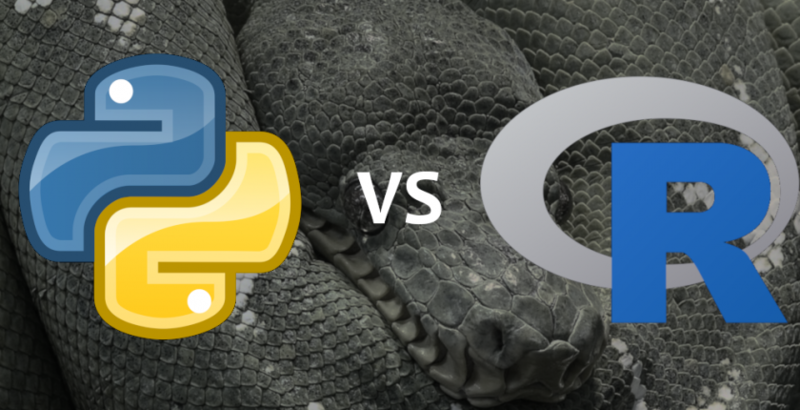 When choosing the best data science or data analysis tools, many of our students at iTrain tend to ask whether they should use R or Python. Sometimes, the most cliched answer is the closest to the truth; “It depends.” In this post, we highlight several questions that will help guide you to select the right language according to your needs. Which language is easier to learn? To answer this question, we have to understand the origins of both languages. R is a programming language from a statistical computing background. So it’s easier to use for statisticians who are already familiar with different statistics programs like Stata, SPSS or SAS. If you’ve done any research that requires you to use the above programs in your university days, then R is the easier language to learn. However, it has a steep learning curve for those without any research experience. According to John Cook, an R expert, “R is more than a programming language. It is an interactive environment for doing statistics. I find it more helpful to think of R as having a programming language than being a programming language.” The interface will baffle anyone outside the world of research and statistics. Python, on the other hand, is closer to the popular imagination of what a programming language is. It’s also closer to human readability. If R should be thought of as a statistics environment having a programming language, Python is the converse. It is a programming language that helps you do data science. This means it is easier for anyone with a computer science background or anyone with an understanding of any object-oriented languages to pick up the language. Python’s main appeal is to build things outside of data science, but with the ability to apply data science. It’s the go-to program for engineers and developers. So to answer the question, which one is easier to learn? It depends on your background. If you’re familiar with statistics, go with R. If not, then you should go with Python. If data analysis and research is your priority, then R should be your toolbox. If building things and integrating data into it is your priority, then Python should be the language you speak. Which language is better for data analysis and visualization? R was meant for data analysis from the very beginning. That’s the reason why it’s preferred by most statisticians. However, there’s a limit to how much data could be processed. For larger datasets, packages like data.table and dplyr can come in handy. Data is like oil for the 21st century. But like oil, if you can’t convince the masses on the power of this mysterious substance then it’s nothing. For data, visualizing it is as important as mining it. Visualization on R normally requires only a few lines of code for you to create histograms, scatterplots, or line plots. If you need to produce more complex graphs it has an extensive, easy-to-use library and packages like ggplot2, ggvis, googleVis, Lattice, Leaflet and rCharts. Using python for data science is still something relatively new. This is because of python’s origin in the programming world. But now, engineers and developers feel the need to integrate data into their work. With the rise of packages like NumPy, and Pandas, data analysis could be done using Python. The good part about doing data analysis with python is that users don’t need to be skilled in the language in order to do data analysis. Users are only required to learn the related commands. Python, however, does not have the same positive history with data visualization. Because it wasn’t built with statistics in mind, it requires extensive coding in order to get the same results. This has changed over the years with libraries like Matplotlib which helps you present histograms, scatterplots, bar plots, or line plots. These are basic functions already available in R but at least now a more flexible programming language could also pull it off. Which language is better if I plan to go beyond data analysis? The short answer to this would be Python. Especially when considering it’s a programming language first, and data analysis tool second. When it comes to machine learning (ML), deep learning (DL), and other methods used for predictive analytics, Python is clearly far ahead. Libraries like SciKit Learn for ML, TensorFlow and Theano for DL have strong communities and support systems around them. However, the gap between R and Python for ML and DL is getting smaller. While it is not suitable for all ML projects, R is sufficient for exploring data and building one-off models. Since most of the packages are built by third parties, support for these packages can have the user wanting more. This leads us to our next question. Which language has a better support system? It’s a stereotype that anyone who wants to work with computers would rather be left alone. However, that is far from the truth. One could technically self-learn data science but in practice, everything is done on top of the work of others. Both Python and R have vibrant communities at StackOverflow. Since both are open source, it’s natural to have developers that publish everything to the public. For R, an aggregator like RDocumentation is the holy grail for anyone struggling to find the right packages. It acts as a search engine that helps you look for specific packages on sites like Github, Bioconductor, or even CRAN (Comprehensive R Archive Network). Maybe because of Python’s infancy in data science, there is no news aggregator for Python that doubles as a search engine. On the other hand, Python has an extensive mailing list network such as PyData, NumPy and SciPy. The downside for the mailing list would be information is only obtained chronologically while RDocumentation allows users to search for packages and information like a search engine. However, because Python exists outside the world of academia, the most basic information is easier to find on commercial platforms. It’s popularity as a programming language would mean that tutorials are everywhere. Data science-related information is relatively niche because it is nothing but a subset of what Python is for. As more people use Python for data science, we’re sure to see a more extensive information network to it. Which Language Should You Learn For Data Science? So let’s get back to our original question, which language should you learn for data science? Again, it depends. What task are you trying to solve? What are you planning to do with the language? If you’re trying focus on just analyzing and presenting data then R is your answer. If you’re planning to build programmes, venture into ML/DL, and build something novel with your data, then Python is the answer. So have you decided which language is suitable for your needs? Python or R? If research and analyzing data is your priority, then check out our R for Data Science certification. If you are planning to build novel ideas with data, then Python for Data Science certification might be up your alley. iTrain offers in-demand digital technology certifications and has trained thousands of IT teams. Contact our iTrain course consultants at +603-2733 0337 or email info@itrain.com.my to find out more about our training courses that will help your good self or organisation stay ahead of the curve.